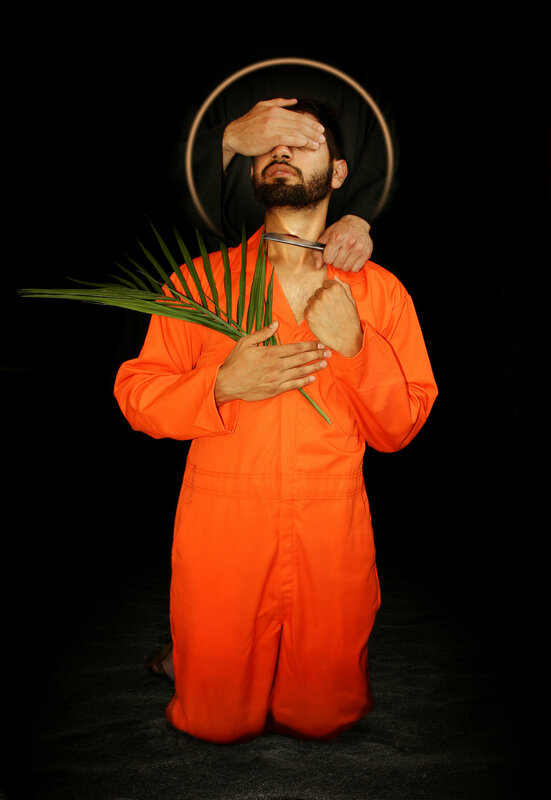 Jordan Hainsey, Webmaster and designer for the Emperor Karl League of Prayer U.S.A. and Canada, won an Honorable Mention in the Seventh Juried Catholic Arts Exhibition at The Saint Vincent Gallery for his digital photograph “The Coptic Martyrs of Libya.” The exhibition is on view through December 2, 2018. Sponsored by The Emperor Karl League of Prayer U.S.A. and Canada, The Biennial Juried Catholic Arts Competition and Exhibition was established at Saint Vincent College, Latrobe, PA, in 2001 by the late Br. Nathan Cochran, O.S.B., who served as Delegate for the Emperor Karl League of Prayer U.S.A. and Canada for over a decade. His untiring pursuit to cultivate and revive the Sacred Arts was the catalyst for the creation of this Competition and Exhibition. Br. Nathan wanted to give artists who engage Catholic subject matter an opportunity to dialogue with the Church, pastors, and lay faithful in the hope of creating new and original artworks for churches, liturgical spaces, and private spaces. Hainsey served as Exhibition Manager for this year’s competition and exhibition and worked closely with Br. Nathan on previous Catholic Arts Exhibitions. For this competition and exhibition, Hainsey was responsible for the call-for-artists, competition and exhibition communications, management of print materials and design, and overall promotion. Hainsey’s artwork, The Coptic Martyrs of Libya, recalls the 21 Coptic Christians martyred in 2015 by the Islamic State of Iraq and the Levant (ISIL) and it depicts their moment of martyrdom. The martyr's eyes are covered by the assassin, hiding his specific identity, thereby representing collectively all 21 martyrs. He kneels in an empty and darkned landscape. All is gone, all has been stripped from him, and yet his hope and trust in God remain. He refuses to lose his soul to the power of darkness. Instead, his sacrifice illuminates his figure; the jumpsuit of imprisonment becomes radiant in the splendor of Christian witness. The assassin's identity has been completely eradicated, removing all power from him and his act. He is left only to hold the knife which becomes an implement of victory in the martyr's passion. The assassin's left hand, traditionally the unclean, cursing hand, deals the fatal wound, while the martyr clutches the palm branch of victory in his right hand, that of blessing. Since its inception, the competition and exhibition has received global attention, spurring submissions and artworks for exhibition from South America to across Europe. 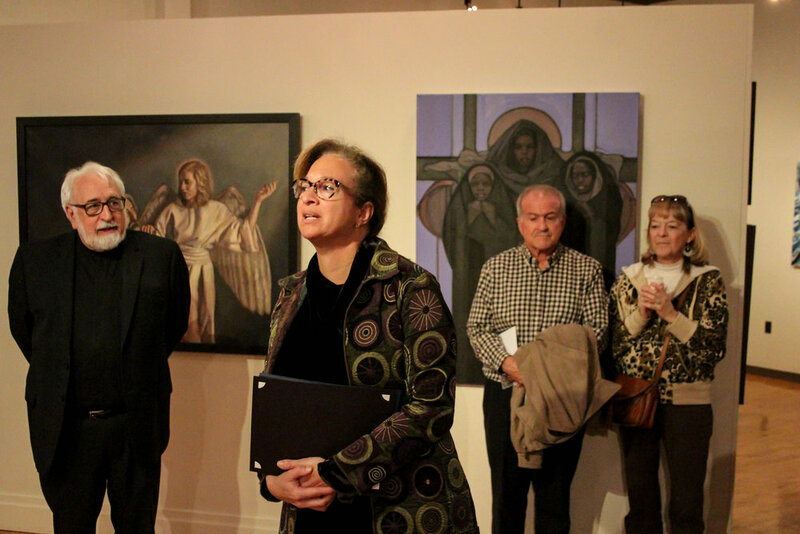 The competition and exhibition fosters a relationship between artists working in the Catholic arts. It has been featured in the Washington Post, EWTN, CNS, Sirius Radio Catholic Channel, Huff Post, and the U.S. Embassy to the Holy See. World-renowned and acclaimed jurors working in the areas of Sacred Art and Art History have brought their expertise to the Competition and Exhibition. Past jurors include: Dr. Frima Fox Hofrichter, an art historian specializing in Baroque and Rococo; Duncan G. Stroik, an architect and professor working in classical and sacred architecture; Sr. Wendy Beckett, an art historian and BBC personality; Dr. John T. Spike, an expert in Renaissance and Baroque art who directs and curates the Muscarelle Museum of Art at the College of William and Mary and past director of the Florence Biennial; Janet McKenzie, an artist working in sacred art; and Dr. Denis R. McNamara, an architectural historian specializing in the theology of liturgical art at the Liturgical Institute at the University of Saint Mary on the Lake, Mundelein. Juror for this competition was Elizabeth Lev, Ph.D., an American-born art historian who specializes in Christian art and architecture, Baroque painting and sculpture and High Renaissance art. She is a professor of art and architecture for the Italian campuses of Christendom College and Duquesne University, and a licensed guide for the city of Rome and the Vatican Museums. Lev holds a bachelor of arts degree in art history from the University of Chicago and a Ph.D. in art history from the University of Bologna. Three hundred eleven artworks from 127 artists working in 30 states and five countries were submitted for the competition; 44 were selected for exhibition including two international submissions from Malta and Italy. 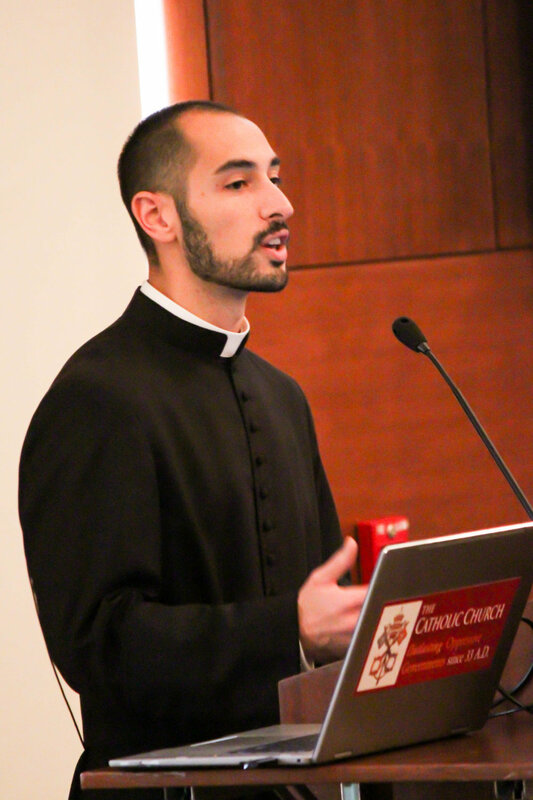 “The remarkable submissions to the Catholic Arts Competition testify to that fact that sacred art is very much alive, but it needs the support of the faithful to flourish,” Lev commented. Click to view more of Hainsey’s artwork.